Talk about self-care! Check out this latest INFINITE HESH from our absolute boy, Thomas J Gamble. "I never told anyone, definitely not my buddies but not even my wife, but I'd usually get home from work late and I'd just feel awful about everything, and I'd just stand there in the apartment, all alone, and I'd slide out my album of Sheryl Crow, and I'd look at it. 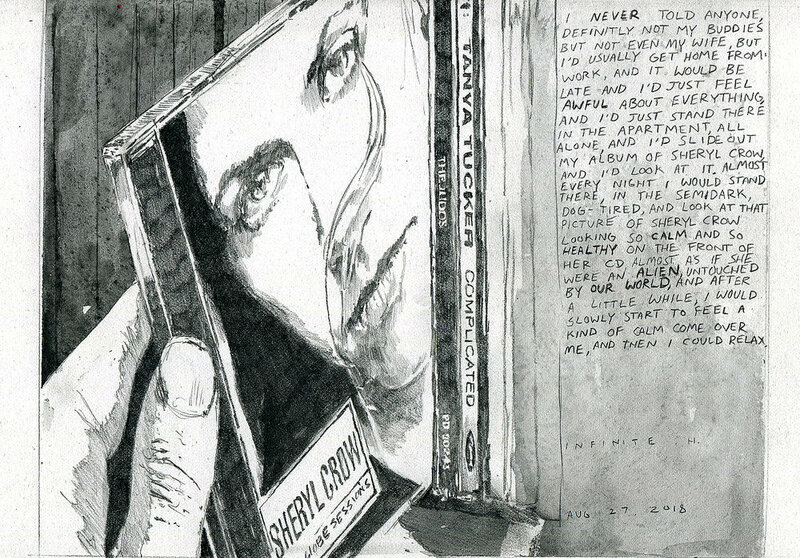 Almost every night I would stand there in the semi-dark, dog-tired, and look at that picture of Sheryl Crow looking so calm and so healthy on the front of her CD, almost as if she were an alien, untouched by our world, and after a little while I would slowly start to feel a kind of calm come over me, and then I could relax."